Prelude: During discussions with experienced wildlife people, mention was made of three land-mammals known for curiousity to an extent that they may choose to follow humans in wilderness areas or even come near ones home for sake of inquisitiveness. Three critters mentioned were:(1) cougar and Florida panther; (2)fox; (3)and bear. While living in Southeastern Georgia, I was never fortunate enough to spot a Florida panther, but I did hear humanlike screams in the night. The screaming of a woman is the sound associated with the panther. Their keen senses allow them to maintain distance from possible danger. They're seldom seen. What protection one might need for exploring the bears' killing grounds near the Great Okefenokee Swamp has been the subject of much of my thought during recent days. 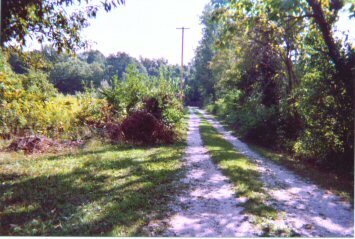 Along a fencerow described within my story entitled Trouble Around The Corner were grapevines and blackberries planted by the Chesser family especially for wildlife. The Tom Chesser family felt that this would discourage bear and other creatures from feeding on the grapes behind their homestead. Hogprobes with electrical shock devices might provide a non-lethal means of defending oneself from possible attack by potentially dangerous animals. Mention is made of this for reason that among my souvenirs of this factual account of a walk towards Chesser Island from Camp Cornelia is the primal memory of seeing a pair of shoes among skeletal remains of animals bear had killed. With all sincerity, suggested is that a group of you modern-day explorers in Georgia might be so adventuresome as to enter that area in search of human skeletal remains. A pair of shoes suggests that among the bones of deer, hogs, and cattle, there could be remains of human victims. Dedicated to classmate Louise who mentioned that she has read an earlier version. Surely, a few members of my highschool graduating class must ask why this fellow student fails to show for class reunions. Although of little significance, responding to any inquiry would be simple and easy. This writer is there in the vicinity of the Okefenokee for an interval each and every day. 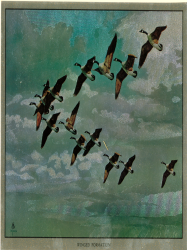 Growing-up on such a wildlife refuge made permanent impressions. Those memories and events will remain surreal so long as I shall live. As with many life experiences, both positive and negative images occur. 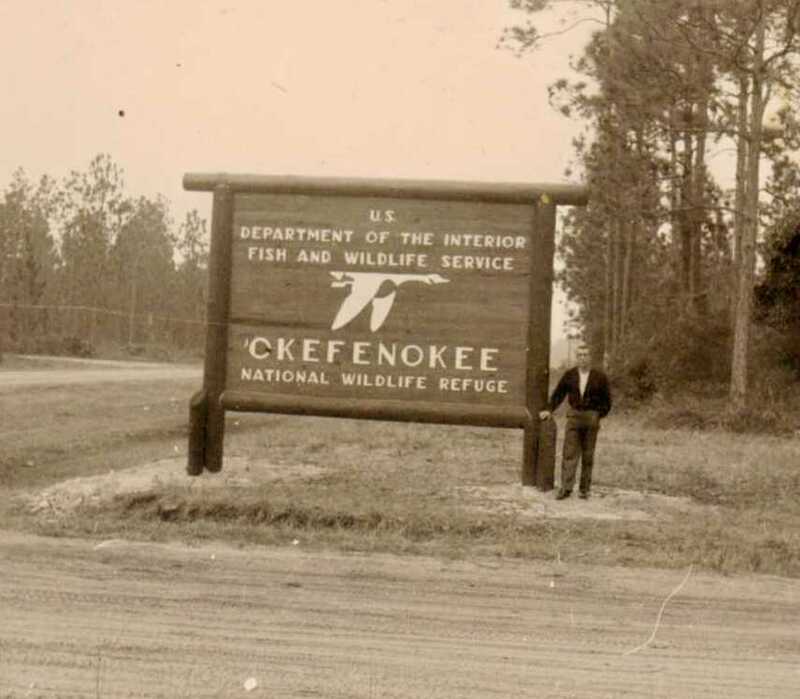 Humbled fifty years later by the eyes, sounds and behaviors of the swamp's creatures, I cannot help but perceive that such an eco-system as The Great Okefenokee Swamp is, in a greater sense, a living and conscious entity. Four miles West of this sign was Camp Cornelia. Around 1956, all refuge aids produced this sign located just off HW11 leading South from Folkston. I must state to any reader that for this writer, there was "trouble around the corner" and lessons difficult for me to learn. As a Charlton County Highschool student, there were few chores to perform other than schoolwork. Using much of my free time there at Camp Cornelia for loafing, I enjoyed solo excursions into wilderness areas; made necessary by being alone. There was no effort at farming for me, and part of choosing not to enter into agriculture were decisions made by my father. Watching other things grow, I was quite happy that there was no land to till. 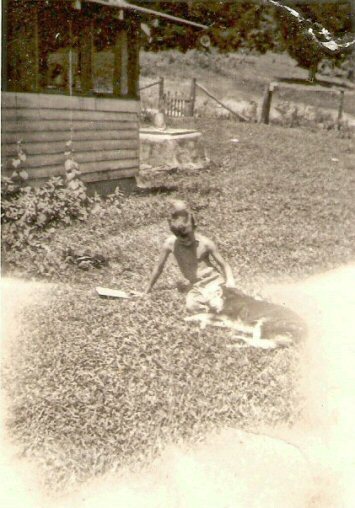 Being a child laborer during his ealier life, Dad Fulks was determined to find an easier way to earn his livelihood. That he did. 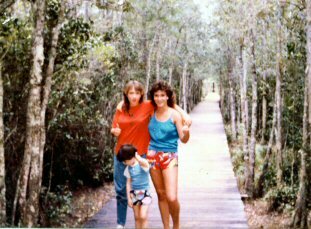 There at the Okefenokee Wildlife Refuge were three refuge aids. Taking care of most work were Brantley Gay, Thomas Chesser, and R.I. Fulks. They'd sign-in at the Camp Cornelia headquarters building at precisely 8 A.M. and exit at 5:00 P.M. Those three refuge aide received work orders from the refuge manager in Waycross, Georgia. Often there was little work for the three to perform. Occasionally, the manager would very timidly visit and exit his vehicle cautiously. Diamond-backed rattlers, pygmy rattlers, coral snakes, scorpions, bear, and stinging insects of all kinds were present in large numbers. Visits to the swamp were clearly terrifying experiences for the refuge managers. Their visits were short and bug-eyed for reason of fear.An exception was Manager Bill Edwards who was especially fit for his wildlife management position. He loved the outdoors and wilderness. As three non-combat soldiers, the refuge aides searched for any possible work to do. They would find small chores such as vehicle maintenance and keeping of the building and grounds. Of course, they had day and night patrol duty and the task of providing assistance for tourists. Only a few tickets for violations of wildlife regulations were written. Most often violators were issued warning tickets. 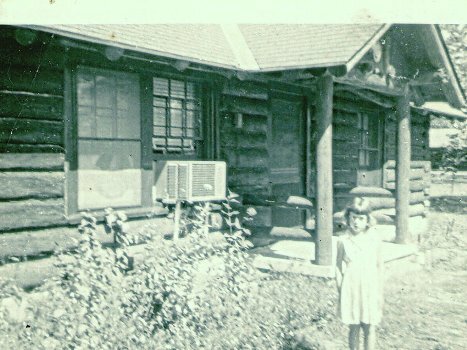 Residing at a landmark called Camp Cornelia were my mother and father, Ella Belle and R.I. Fulks, and me. Their youngest and only son, the area was very sparcely populated. Living one -quarter mile west were our nearest neighbors- the Roddenberry's. Tommy, his wife, and five daughters managed a boatdock and canteen situated at the East entrance on the Swanee Canal. There tourists could purchase fishing licenses, rent boats and motors, and obtain food, drink, fishing gear and bait. 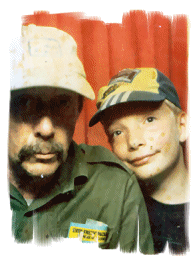 Tommy possessed maps and gave advice on how to navigate the Swanee Canal and to reach more remote locations. Fisherman and tourists could enter the swamp during daylight hours only. Soon the management of the boatdock changed. Southeastern Georgia endured a drought extending into two summers. The Okefenokee Swamp went virtually dry, and only the Swanee Canal contained significant water. During that time, a huge area was ravaged by a wildfire that had disasterous consequences with much of the swamp vegetation damaged or destroyed. Also during that era, tourism dwindled to nothing. Earning little income from tourists caused Tommy Roddenberry to quit and obtain employment with a bag and paper company. Following departure of the Roddenberry's, my life as a teenager there at the former Civilian Conservation Corp camp was at times a lonely existence. Another sour note as to the remoteness of our home required that I be the first to enter and the last to exit the schoolbus. That amounted to a 6:30 awakening each morning and back home- seldom before 5:00 P.M. After attaining a driver's license, my dad was lenient in granting permission to visit Folkston where there were movies, atheletic contests, dances, and a skating rink. Folkston was a major tourist route through the 1950's- a busy and prosperous town during night hours. I felt that it was a safe and great place to live. Allow me to tell how a day would start for me at Camp Cornelia. One eye would quickly open and the first daily thought would be- "where am I? Is it a school day"? Then I'd toss-off the bedcovers and spring-up, sit of the bed's edge, toss off the covers, and briefly glance out a window. Then a certain reality would strike me. I live on the edge of the Okefenokee Wildlife Refuge. Hardly anyone else does. What will I do today? Before putting-on ones shoes, he must turn them upside down and shake briskly. At least twice in every five days, out of my shoes would fall a four-inch-long scorpion; ready to enter into mortal combat. The scorpion is an equal in courage to a samurai warrior. It refuses to surrender and must be killed. I was stung several times in instances that I had neglected checking for a scorpion. It's sting were non-lethal for me. Their attacks are fierce and extremely painful. 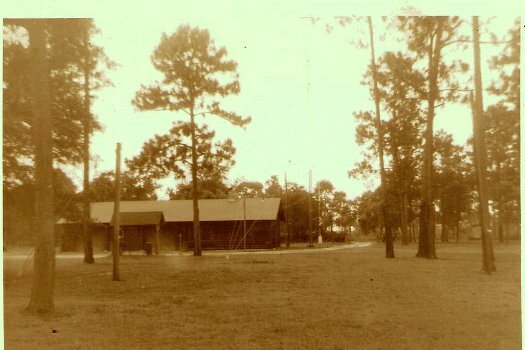 Camp Cornelia, itself, was a fenced-in five acre plot laid-out five miles Northeast of an island on the East edge of the Great Okefenokee Swamp. The island and its owners were the Chessers, a family especially interesting to know. The island itself was an adventure full of unique things- their house, an Indian mound, and it was bordered on one side by a thick jungle called a hammock. The bear were always closeby and made efforts to forrage on that family's grapes, chickens, and other farm assets. That Chesser family were descendants of one that had settled there as pioneers in the 1860's. Making their livelihood in a somewhat primitive manner, those were people mentally, physically, and intellectually fit to survive in such an environment; located a good seventeen miles from the marketplace at Folkston, Georgia. All were sharp intellectually. Such a primitive life style was by choice and not a neces- sity. The Chessers had no electricity, but did enjoy telephone service. Theirs was a happy, healthy and hardworking lifestyle. Givin' measles to the weasles! 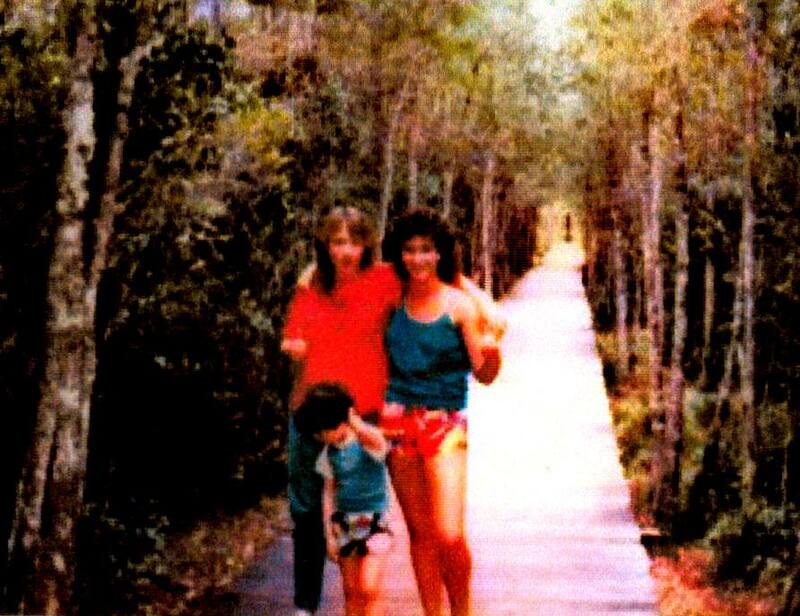 The Fulks family had other company there at the camp, but those were'nt human. Those were'nt difficult to accomodate. Living in one of the three log cabins, we developed a respectful relationship with our neighbors- diamond-backed rattlesnakes, land tortoises, pigmy rattlers, coral snakes, bull-bats, scorpions, owls, bear, and every kind of bird and stinging insect. Land tortoises, some weighing as much as fifty pounds lived at peace with their human counterparts. There was even a mixed-breed hog that was half razor-back, part domestic. Although not aggressive, its appearance was fierce- long protruding tusks and at least three-hundred pounds weight. Make-um a believer; golden retreiver!! Plant growth within the camp was carefully controlled. Mostly restricted to some bluegrass, a large patch of prickly cactus, white and yellow pine, and some oak. As is usual where humans dwell, plenty of grey- squirrels had taken up residence at Camp Cornelia. From the Kuntah: "Your decision here was predestined. It was intended that you learn an important lesson. Unreasonable fear can become an obstacle in penetrating the barriers standing before you; and in fulfilling the plan your creators have made for you. The lure pulling you that day was I- the Kuntah". What might be stated with reasonable authority is a seventeen year old teenaged boy about to enter his senior year of highschool might encounter Trouble Around The Corner.Without guidance and supervison when cast loose within an environment as diverse as that of The Great Okefenokee Swamp, a lonesome kid could very well find himself heading toward trouble without knowing it. With George Fulks, that was certainly the case. My first effort to walk from Camp Cornelia to The Chesser Island Homestead was an ill-conceived notion; but an interesting and memorable journey. The Cheeser's home lay beyond a stretch of sandy, twisting and winding road about five miles Southeast. By motorized vehicle or cycle, Chesser Island could be reached in less than thirty minutes. My mother, father, and I had been frequent visitors there-usually on Sundays and upon invitations to lunch. My first walk in that direction toward that goal was most certainly one of several ill-conceived lures to the wilderness. Choosing an early hour during a Georgia summer under a sun that had risen just above the tallest of trees, I began walking in that direction along the familiar road toward a place I'd learned to relish. As with "The Wizard Of Oz", there was magic there, and there was wisdom. That sun had already cast its heat within the forests and started to boil that swamp's waters. There, five miles away, lay a storehouse for what I considered some of Tom Chessers's many gifts, his abilities to tell stories in amazing ways, and the life lessons he was able to teach. Such a notion was a foolish thing, but what might one expect of a boy who was a fool? It was not a walk I should have taken, yet I was determined; experiencing no fear or hesitation. 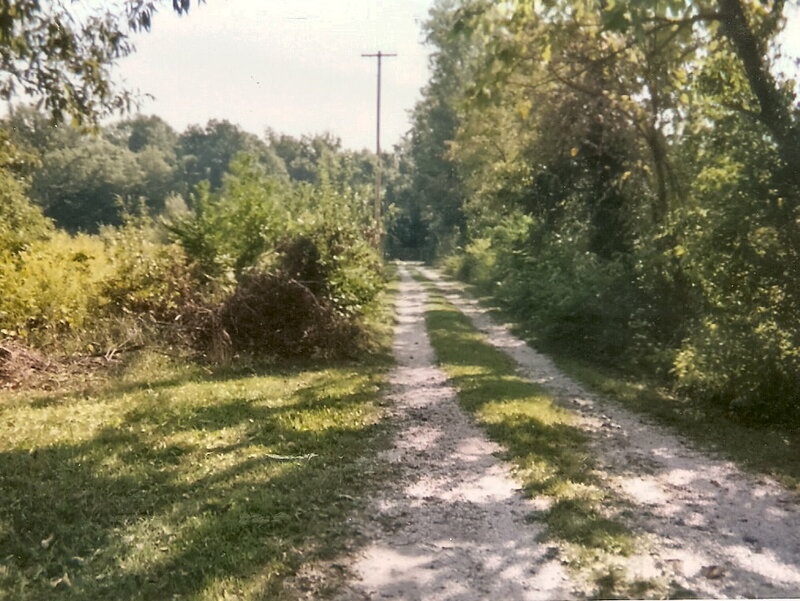 Unable to stop my progress, nature's lure of the wilderness carried me on towards a place two and one-half miles away in the direction of a stock- fence placed there by the Chesser family. Ladened with ripe grapes, blackberries, huckleberries, and wild filberts, it was a perfect setting for hungry bear to feed. Planted there by Tom, Huey, and Lester. those fruits had been placed to discourage bear and other animals from feasting on food near the Chesser house. Then rounding the fence corner, I spotted four black bear feeding. Almost instantly, they also spotted me. Crashing into the bushes and running as fast as they could into the shelter of a hammock, they retreated into a safe haven from the company of a teen-aged boy. The three different kinds of grapes were delicious. As I continued in rather slow motion, I gathered them by the handsful and mouthful and began to feed much as had the four bear. Not until I had reached the last post of that vine -covered fence did I suddenly realize that all bear in that area had not retreated into cover. As I passed the place where grapes and their vines ended, a huge specimen of a bear stood upright and peered at me from behind a bush of some kind. If his loud bellow was a "hello", I had no time to return his greeting. From around the corner where the fencerow had begun, there came Mr. Tom Chesser. He was not driving his 1950 blue Cheverolet pickup slowly as usual. As that bear was spooked by a vehicle and casually walked away, Mr. Tom pulled-up beside me, reached over and opened the passenger-side door. His voice trembling in fear, he exclaimed. "George- get in the truck as fast as you can!" Then pointing in the direction of a clump of pine trees, Mr. Tom continued. "There something following behind you, George! I don't know what it is, but it's big, and it's black! It's not a bear"! As we returned, Tom Chesser had a talk with me. " I was standing in the headquarters building," he explained. "I received a message from somewhere that you were here and that I needed to come and get you. George- I'm telling you! It's extremely dangerous to walk in this area during this time of year. The bear in here are not as you think they are. They can and will catch anyone and drag them off into the bush. It's happened more than one time over the years. You just can't fool around in this here. This is where the bear hunt, feed, and there are a lot of them here in this part of the swamp". Having knowledge of the truth in Mr. Chesser's words, the loneliness of living in that remote area overpowered good judgement. Visiting risky places alone became a habit. Black bear would occasionally be encountered. Most often, they were wary and respectful. The one I had named Noah was encountered often. When the grapes, berries,mushrooms, and roots are ripened, they'll usually be feeding not far away. It's a good idea to avoid walking alone where they are predators. Some of the places I ventured would frighten me now; fifty years later. I truly encountered the bear, Noah, several times; as I walked in the area there. It would appear that he had come to know me and respect me. I would spot him glancing at me from behind cover. 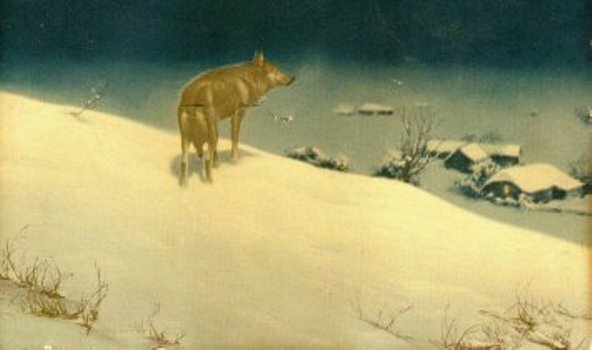 He would stand upright, utter a very profound bellow; then get on all-four legs, walk in the opposite direction; and then disappear into the bush. On several walks on the edge of The Great Okefenokee Swamp, I'd see Noah. At the age of 17,I remained much as a child. I was meek, trusting, and kind to animals. 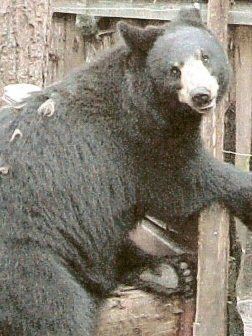 Perhaps that bear could sense that I loved it and many of the other creatures that shared that amazing eco-system. What Tom Chesser saw that was following behind me remains a mystery, and no harm to anyone or anything resulted from my first effort to walk from Camp Cornelia to Chesser's Island. At a later time, I trod that five and one-half miles and returned- still unscarred. Is there such a thing as "The Lure Of The Wilderness"? That, no-one shall ever know. To any reader: This image is not the fence I passed-by on that road leading to Chesser Island. A letter from one of the class of 1958 and a visit to a local lumberyard are part of the inspiration for such a composition project. A factual story, included are the following mental notations: One may find many of the remains of what bear have killed on the left; about one-quarter-mile past the grape vines that the Chessers planted for bear. The thing to which Mr. Tom Chesser made reference could very well have been a Florida black-panther. 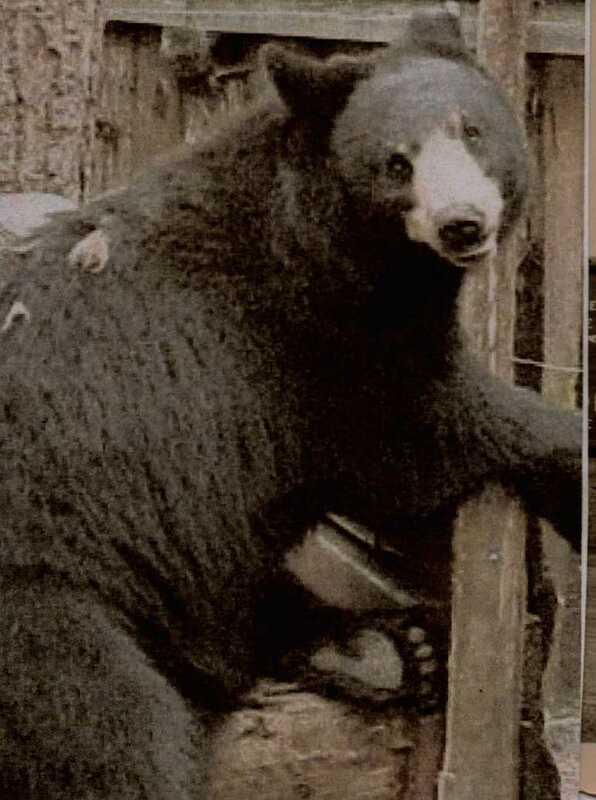 Large cats and bear have been known to follow humans in wilderness areas or come to windows at night. My experience in the use of old tires was begun in 1996. 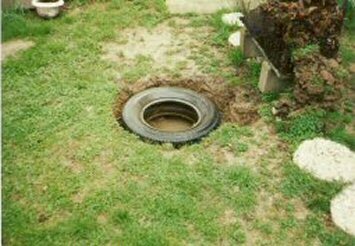 Three used fifteen inch tires were placed in an area where runoff from a neighbors' gutter had created an excess of water. The cutting of large holes in the side-rims allows water to drain from the tires. A concrete palate has been placed as a cover for my excavation. Two additional tires have been placed beneath the one visible. A layer of creek -rock and sand has been placed along the outer-walls of the tires. Never has a problem been encountered with excess, water-drainage into the visible area since I took this measure. 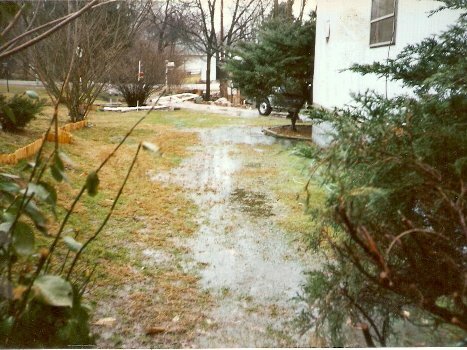 Heavy rains and runoff from a neignbors' gutter were problems that were encountered here during the first summer of 1997. Considerable hand-digging was required, but I've been able to alleviate most of the excess water accumulation by use of wornout tires. Never was George Fulks as surprised as when my close neighbor decided to change his gutters, resulting in hours of continuous work and stress for me. Suffering a heatstroke as a result of the hand-digging necessary to handle runoff from his gutters, I was able to handle the flood that followed by using old tires and plastic pipes. All soil nutrients were washing away with the topsoil. It's growing grass now and would be a wonderful location for some splendid plant. Along with the grass and weeds are growing "poke greens." They're delicious when cooked with slab-bacon and salted with beef-jerky. I savor "poke greens". That particular neighbor eventually moved. Those who followed were not as throublesome, but I can't help but recall the adult abuses- that is grown-ups conducting themselves in a manner worse than the behaviors of little children. For instance, each day the head of that household would step outside and utter as loudly as possible: "Faggott." That annoys me. When I responded by inquiring as to to whom he was adressing with a --- ------" that man once proclaimed, "watch your language now! We're Christians here!" However strange, that's a true incident. The next neighbors were seldom seen outside. I, preferring the outdoors even here in town, found that the domesticated qualities of my second neighbors resulted in pacification of the neighborhood. 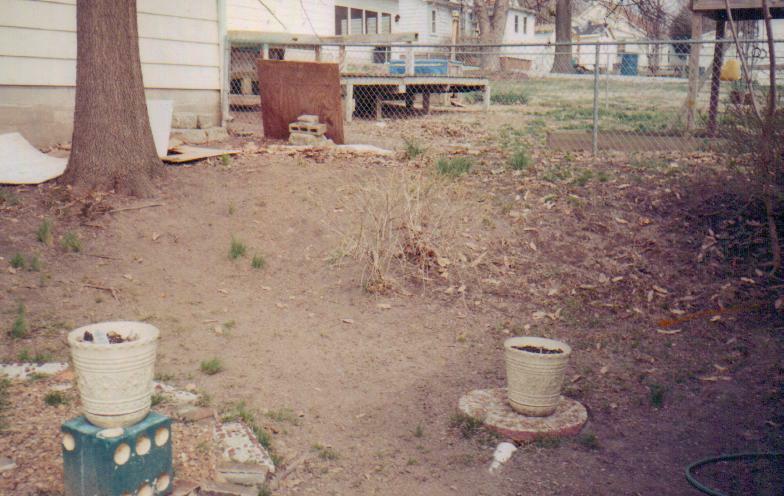 Now that the first neighbor has moved, I recall daily walking into that flood plain and experiencing anxiety. An early adolescent had been seen throwing matches and lighting fires next to the first neighbors home and mine. When I scolded the culprit, he spat at me. That same one who was a visitor was observed carry a lighted stick. He was thrusting that stick into the face of one of that neighbor's children. After witnessing that I rigged waterhoses, bought fire-extinguishers, and began to patrol that backyard floodplain on a regular basis. Of course, my sleep became less peaceful. Oddly, that man was a member of the city fire department. Now that I'm of age, some folks are making efforts to save me. Well- anyone might be safer among bear and poisonous snakes. If anyone wants to save me, you might help by being quiet and practicing humility and restraint without necessity of a court order toward attaining that end. Such behaviors are at least suggestive that man and other things composed of organic materials have been arrested, booked, indicted, convicted, and banished to a part of the universe so distant from "that which created it" that its origin is infindestial. What made things that eat each other may never be seen or found. I've reasons to think that way. Certain that this is not an original idea, I do not feel the need to protect this invention. Old tires could be used as window-wells; holes cut in the bottoms of the sidewalls and stacked seven or eight high in this manner. Of course, each tire would need to sliced into two identical sections; then placed on-top of each other. I also suggest the machine-digging of space for seven or eight used, rear tractor tires for storm shelters. Proper ventilation could be provided by installing a wind driven aircirculator upon the cement palate that could be poured as a cover for the space provided by the tractor- tires. I've noticed several residents here with water remaining on their sidewalks following any substantial rainfall. Two or three small, tires buried in this manner and accompanied by rock and sand would be a sure-cure for this drainage problem. Old tires could be placed under sections of sidewalk and filled with drainage materials; but this is not suggested where poisonous snakes are known to dwell. They'll take up residence under almost any empty space. A few farter or grass-snakes wouldn't harm a thing. You could make your pets' home by digging into the earth on a hillside or incline on your property. Build dens for wild animals in the wilderness. Bear and foxes would love such a dwelling. I hide in a place such as that from my neighbors and policemen. Stack several wornout tractorthreads of top of each other; and build a shower for visitors to the lake. One might even construct a backwoods toilet with modern pots and lavaratory inside. Just cut a doorway and use a verticle sliding door. Quoted in a national publication once was: "No-one has ever figured-out what to do with old, tires." Yes, we have. They have hundreds of uses, and I've offered a few of my own suggestions. Stop burning old tires.